The SQ12 Mini Camera from Mrs Win is a mini 1080P full HD DVR camera recorder. 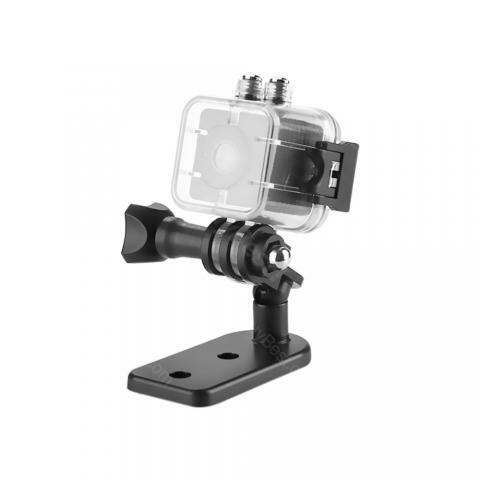 With its maximum 30 meters waterproof ability, you can make perfect video underwater too. Let along its powerful night version ability which allows you to get the clear video even at night. The SQ12 Mini Camera from Mrs Win is a mini 1080P full HD DVR camera recorder. With its maximum 30 meters waterproof ability, you can make perfect video underwater too. Let along its powerful night version ablity which allows you to get the clear video even at night. Also, the SQ12 supports up to 32G TF card (not included) so you don't have to worry about the storage issues. • Please charge the SQ12 first before first-time using and if you won't use the device for a long time, please charge it time to time, thanks. The site is easy to navigate and varieties choices of cameras. A nice place to shop small electronics for the affordability and service. The camera combines quality and price, a great small device. Love shopping here for the passionate people. 1080P definition makes the videos clear and my husband is satisfied with this powerful mini camera. The mini camera's quality is better than my previous ones, yet cheaper. Just hope this mini thing can have a long lifespan. Got this device in a rainy day, yet the small camera package was wrapped closely and tightly, no damage at all. Love shopping online. Though mini, the camera has full features, like night version ability and waterproof. Love it very much. Love the smart and cute design; I'm content with this mini camera.